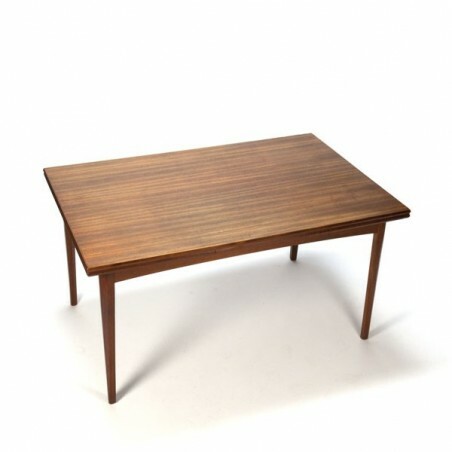 Vintage table from Denmark. 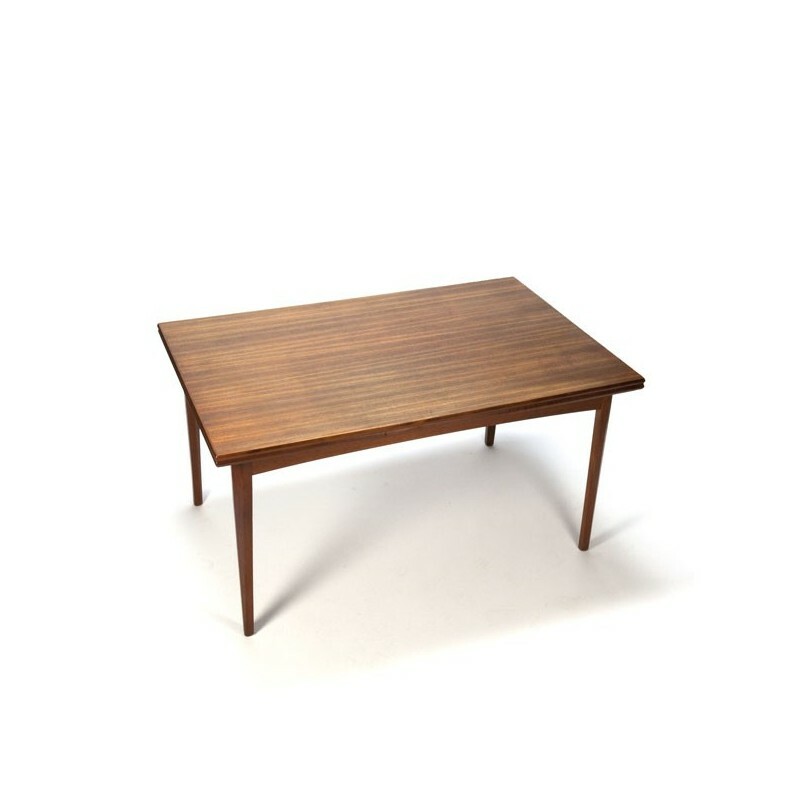 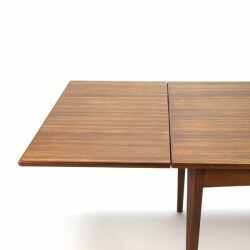 The table is made of teak and has at each end a extandable blade of 50 cm, that makes the tableup to 240 cm long. 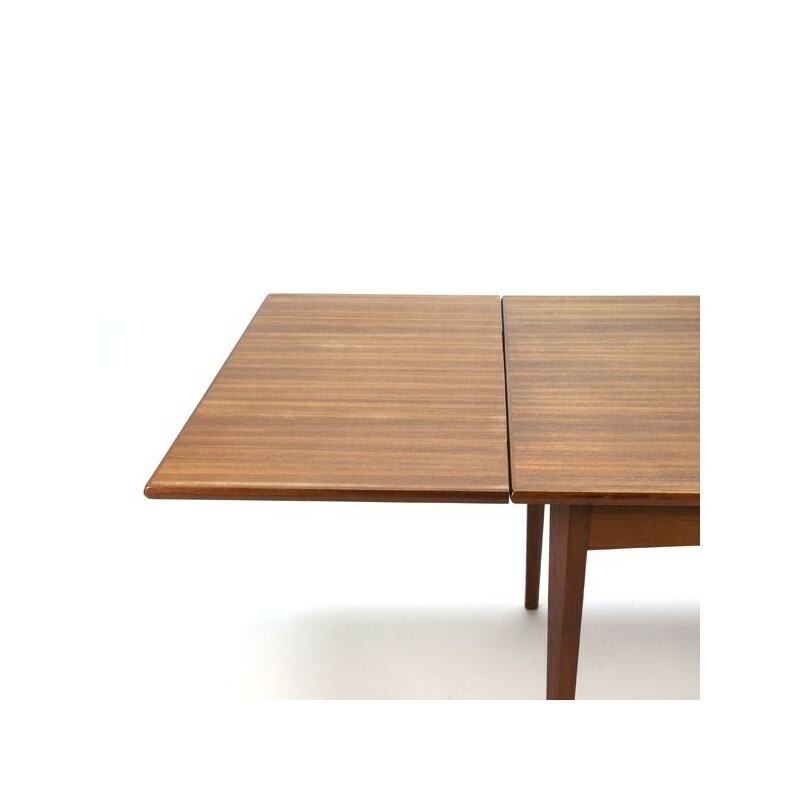 The condition is quite good considering the age, there is a circle on a corner in the top, see the detail photos. The size is 90 cm W / 140 cm L- 240 cm L / 73.5 cm H.